I don’t like doing negative reviews. I usually operate from the position of “if you don’t have anything good to say, don’t say anything”. However, I’m going to make an exception to my normal modus operandi for this particular holster. The holster is the “Leather Wing” from the Sig Sauer store by BlackPoint Tactical. The reason I’m making an exception for this review is because this holster has so much potential. The Kydex is solid and the molding is tight. They attractively screen the Sig Logo on the holster, because this Sig fan bought into the Legion swag! 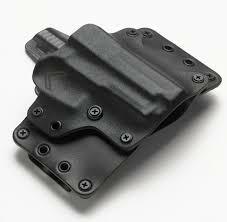 The molding is tight, no excess Kydex, and the holster comes with clips that allow you to convert it to an IWB ride. A good leather holster will wrap around the hip and keep the gun tight to the side. A well-made Kydex holster will operate the same way. The makers of Kydex holsters will heat the Kydex up and roll it along a coffee can or some other curved surface to add a contour. 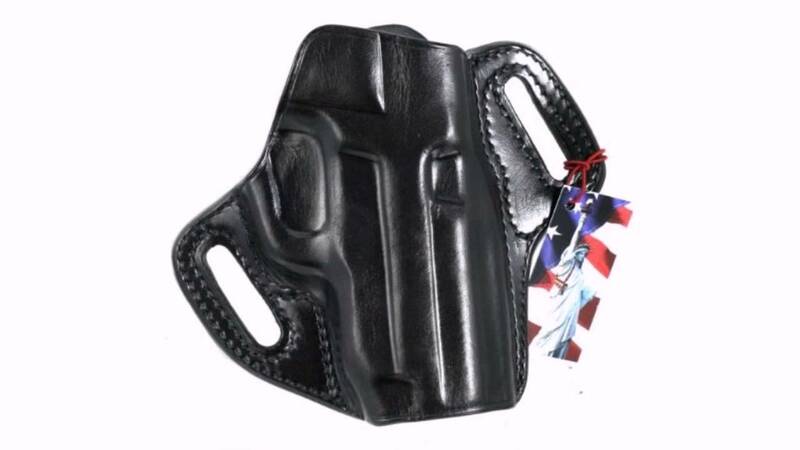 The idea of marrying these two materials seemed to have merit pre-purchase (think Crossbreed), the holster is attractive, and we know you got to look cool, check the reviews and they seemed positive. Ok purchase is a go! It’s an attractive holster, and that’s the extent of my positive comments. My problem with the “Leather Wing” is the rigidity of the leather. The leather is not stiff enough to accommodate the “hi ride” design of the holster and the weight of the gun (so the gun flops out away from the body angling the muzzle toward your thigh). The grip heavy 229 attacks this weakness like my Siberian husky attacks the fence looking for a weak spot. This one characteristic is a fatal flaw for conceal carry in my mind, but this problem seems like it could be resolved in a couple of different ways. Sandwich 2 layers of leather to form a thicker, less pliable “wing”, maybe back the leather with a thin sheet of Kydex, or some other material, or scrap the idea of the leather wing and go with a more traditional Kydex model. For my requirements, the holster was not secure enough for all day carry. It was fine early in the day (no not really) but as the day wore on I became more aware of the holster movement, and floppiness. 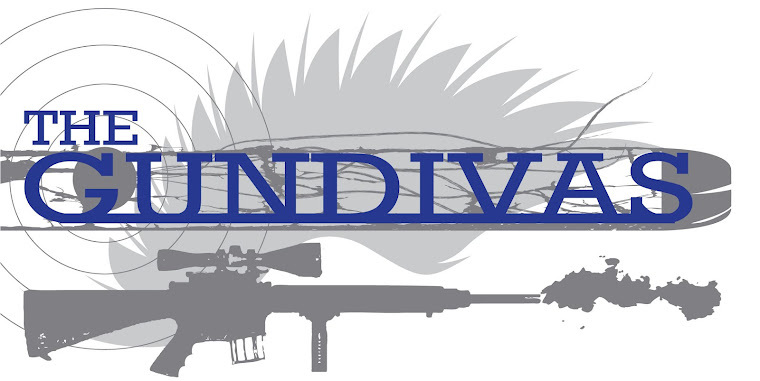 Not one to give up too quickly, I contacted BlackPoint Tactical about remediation. They were polite and listened, and then told me “good bye”. So taking matters into my own hands, I ordered a couple of sheets of black Kydex to convert this holster from a “Leather Wing” to a “Kydex Wing” (Amazon.com prime $20). I took off the leather dressings, traced one side out onto the Kydex with my trusty black sharpie (I omitted one side all together), Made a minor mod to put the belt loops closer to the gun. Found the scroll saw in the garage, and hit the belt sander - Viola! A still largely good looking holster and a much more secure and comfortable carry solution! The “Kydex Wing” did what I had hoped (at last! ), it added the rigidness needed to keep the gun and holster in the same location and tighter to the body. In summary, the Sig Sauer “Leather Wing” holster is a no go. While the holster gets points for style and minimal use of Kydex, the “leather wing” belt loops fails to deliver rigid, keep your gun in place performance. If you’ve already got one and agree with my assessment, you can shoot me an email for a “Kydex Wing” kit for $5. If you’ve not gone this route, you might want to consider a Galco Concealable Belt Holster, about the same money online, no mods, smells like leather, which is a bonus in my mind. Good to know and I laughed at the Siberian Husky comment because I used to have a black and white one named Shamu that could escape ANY fence. Awesome review. Again, thanks for the honesty. An unsafe holster is dreadful. Love your humor and forthrightness. Sharing!